← Board Diversity, Elitism, and Performance: What Works Best? Good news for proponents of sustainability reporting: On Tuesday, the Global Reporting Initiative and the Accounting for Sustainability project (A4S) sponsored by the Prince of Wales announced the formation of the International Integrated Reporting Committee (IIRC) The group intends to create a globally accepted accounting framework linking financial, environmental, social, and governance information into one clear, concise, consistent, and comparable format. It consists of a “cross-section of representatives from civil society and the corporate, accounting, securities, regulatory, NGO [governmental organization], IGO [inter-governmental organization] and standard-setting sectors,” according to the press release. Thus far, its membership and working group comprise leaders of these organizations. 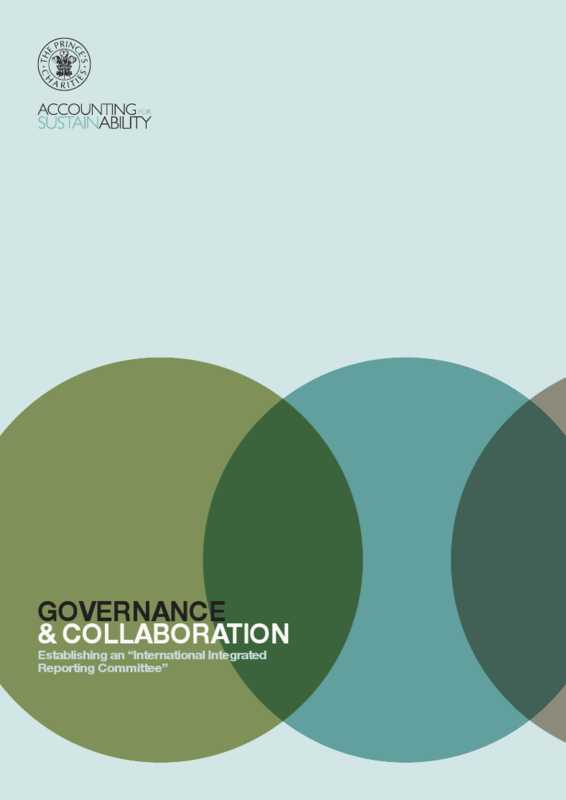 Tuesday’s launch follows from an argument advanced late last year (and revised in May) by the Prince of Wales for a “connected and integrated reporting framework overseen by an ‘International Integrated Reporting Committee’“ that would “help transition toward a sustainable economy”. (See Governance & Collaboration). Last December, attendees of the Prince’s Accounting for Sustainability Forum meeting discussed the idea, and made a commitment to “integrate the work of different initiatives”. In late May, at its biannual Conference in Amsterdam, the GRI threw its support behind the effort. GRI’s Chief Executive Ernst Ligteringen proposed that a standard for integrated reporting should be defined, tested, and adopted by 2020.
the publication last March of a book devoted to the subject, entitled One Report: Integrated Reporting for a Sustainable Strategy, co-authored by Robert Eccles of Harvard Business School and Michael Krzus of the accounting firm GrantThornton. He could add Joan Bavaria, Amy Domini, and Joan Shapiro to that list. This phase of the movement toward integrated reporting is off to a great start. Tomorrow we’ll provide more information on various reactions both to the concept and this initiative, as well as ways in which the broader public can get involved. This entry was posted in Corporate Reporting, Corporate Sustainability, Public Policy and tagged A4S, Allen White, Amy Domini, Bob Eccles, Bob Massie, Business for Social Responsibility, Ernst Ligteringen, Global Reporting Initiative, IIRC, integrated reporting, Joan Bavaria, Joan Shapiro, John Elkington, King Committee, Mervyn King, Michael Krzus, sustainability. Bookmark the permalink.